If you want to be a judge in California and still camp out with your boy scout sons on weekends, forget it. 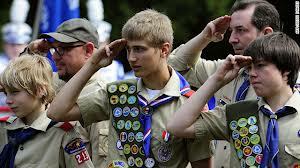 The California Supreme Court unanimously said, “No!” California state judges cannot belong to the Boy Scouts anymore. Apparently in 1996, California State Supreme Court banned judges from belonging to groups that discriminate on the basis of sexual orientation, but left a few exceptions for youth groups and religions. For now, the religious exemption still stands, but not the youth groups. The Boy Scouts allow openly gay boys, but not openly gay leaders, so the state judiciary committee felt that not banning judges from association with the Boy Scouts would inhibit public confidence in California’s justice system. Just like that, all judges who had an association with the Boy Scouts must end it. Is this constitutional? Can states really determine what legal things judges do in their free time? I can understand banning judges from illicit drug use or joining the mafia, but the Boy Scouts? When did camping and hiking with people who hold different beliefs from other people become so detrimental to society? I don’t think they have. I actually think that allowing each citizen the opportunity to freely voice their views and join a group of people who feel similarly is beneficial to society. In fact, that’s freedom. When the government starts to decide what people can do and think or what groups they can align themselves with, even if they are government employees, then freedom is lost. For state judges in California, the California Supreme Court has effectively removed the free exercise of religion, abridged free speech, and limited the right of judges to assemble. So far, they can still redress the government over these grievances and I hope they do.